Many years ago I played simple Football manager game on Commodore C-64 with my friends. 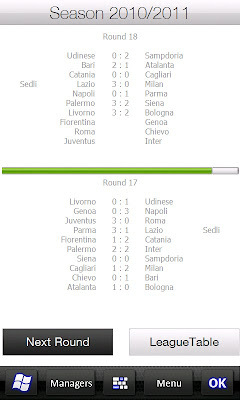 We could selected one team of Italia and checked results on monitor screen. It was funny and addictive. Few weeks ago in a pub we remembered it. I learned visual basic and created this game. I hope, you enjoy it with us.